Sports Gambling Could Put Money in States' Coffers. But Is It Worth It? States Are Now Free to Make Sports Gambling Legal. But Should They? Sports gambling is illegal in many jurisdictions, but it still remains wildly popular. Laws against betting on sports have done little to curb the practice, and forcing sports gambling underground has a high cost: no taxes are paid on the bets. A Federal law has been repealed, which leaves states free to legalize wagering on games. But should they? Here are the advantages and disadvantages of legalizing sports gambling. Why Is Wagering on Sports Illegal, Anyway? With many state governments raking in millions of dollars in revenues through the lottery, it seems hypocritical to outlaw sports gambling. However, many people believe that gambling on sports is immoral and should, therefore, be illegal. Another argument is that wagering on sports can lead to a gambling addiction. Outlawing wagering is an attempt to prevent people from placing bets when they need the money for food and rent. Organized crime is also heavily involved in sports gambling. 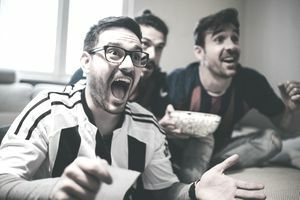 Game fixing, laundering, and high-interest loans to cover gambling debt are just a few of the ways that criminal organizations benefit from sports gambling. Some of the laws against sports gambling make it harder for criminals. Money laundering, for instance, is easier when the bets are legal. On the other hand, underground gambling with bookies is less attractive. Loan sharks would probably be just as popular, regardless of what the laws say. In 1992, federal law made sports gambling illegal in every state except for Delaware, Montana, Oregon, and Nevada when they passed the Professional and Amateur Sports Protection Act (PASPA). Those states' pre-existing sports gambling laws were grandfathered in so that PASPA didn't apply to them. Certain sports, including jai alai and pari-mutuel horse and dog racing, were not covered by the law. After more than 20 years in effect, PASPA was overturned. Are Laws Against Sports Gambling Effective? Laws against sports gambling may have good intentions, but their effectiveness is another question. A three-year-long study of gambling policy in the United States conducted by the Commission on the Review of the National Policy Toward Gambling way back in 1976 concluded that outlawing sports gambling would not stop it. "No matter what is said or done by advocates or opponents of gambling in all its various forms, it is an activity that is practiced, or tacitly endorsed, by a substantial majority of Americans," the report found. Furthermore, the effect on organized crime seems minimal. The Sorbonne-ICSS Integrity Report conducted by the International Centre for Spor Security (ICSS) at the Universite Paris 1 found widespread evidence of game-fixing by organized crime despite existing laws. They also estimate that criminal organizations launder $140 billion worth of money through sports betting every year. If anti-gambling laws aren't preventing criminal organizations from lining their pockets and they aren't preventing people from gambling, what use are they? And are they even legal to begin with? In 2018, the Supreme Court declared PASPA unconstitutional, paving the way for states to decide for themselves whether wagering on sports events should be allowed or not. PASPA had been passed with the argument that the harm that sports gambling can do crosses state lines, and a Federal law is therefore appropriate. But in May of 2018, the Supreme Court found that parts of PASPA violated states' rights, so the entire law needed to be overturned. States now have to consider the issue of sports gambling for themselves. If they legalize it, will they be causing problems with fixed games and money laundering? If they pass laws against it, will they be throwing money away while letting organized crime flourish? If there's one sure thing, it's that legalization will bring in big bucks for the states that embrace it. Less than a month after passing sports gambling laws, Delaware raked in $7 million in sports betting revenue, while New Jersey saw $16.4 million spent, according to Gambling.com. Should States Legalize Sports Gambling? People really want to do it. And legalizing it makes it safer. Enforcing laws against sports gambling is an unnecessary drain on law enforcement. Legalizing sports gambling will make it easier, not harder, to avoid game fixing and corruption. The states could use the tax revenues for public works, just as some do already with casino revenues. Legalizing sports gambling could generate over 100,000 new jobs, according to some estimates. However, casinos make many of these same promises, but oftentimes they fail to deliver, as this article in the Atlantic points out. Just How Much Money DO People Wager on Sports? It's hard to tell exactly how many people indulge in sports gambling and how much they spend when they do, in large part because it has been illegal in the United States for so long. If you can think of a sport, chances are that people are betting on it. But which sports and events are most popular? It's hard to determine exactly how much money is being wagered on sports because so much of it has been illegal gambling. NBA Commissioner Adam Silver wrote in a New York Times op-ed that "some [people] estimate that nearly $400 billion is illegally wagered on sports each year." However, that $400 billion amount is poorly sourced and highly debatable. It is certain, however, that the amount spent is extremely large. The American Gaming Association (AGA) estimates that Americans spent $90 billion on football bets in 2017, of which $88 billion was bet illegally. $4.7 billion of that was wagered on the Super Bowl alone. The AGA estimates that Americans spent $36 billion gambling on baseball in 2017, of which 97 percent was spent illegally. The Washington Post estimated that 59.3 million people in the United States and Canada paid an average of $556 apiece on league dues and other fees to compete to win real prizes. That works out to nearly $33 billion that might be spent on wagers, should sports gambling become legal in the participants' states. When it comes to basketball, March Madness is the big draw for bettors. The AGA projected that in 2018, Americans would spend $11 billion on March Madness wagers, and 97 percent of those bets would be illegal. Keep in mind that these numbers are estimates. Some of the organizations making these estimates have a vested interest in their numbers running high since more potential tax revenue makes it more likely that states will legalize sports gambling in their jurisdictions.